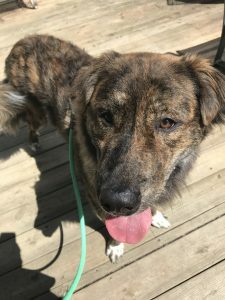 Bear is a gorgeous mixed breed dog in need of a home. He is shy and scares easily and takes time to warm up to strangers. But once you’re in his circle of trust he is devoted for life. 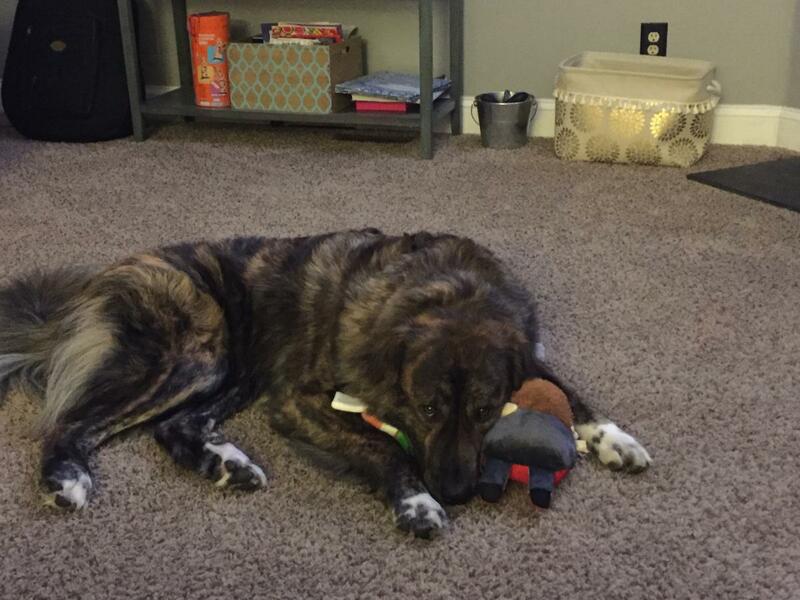 Bear was rescued as a puppy from down south and adopted out to a family with kids. The unpredictable and sometimes chaotic nature of a household with children was too much for Bear who stresses easily. While we know Bear’s needs are specific we are hoping there is someone out there who understand what it is to need a quiet home and a low key routine to feel safe in this sometimes scary world. Once you get to know Bear, you will see his true personality. He enjoys being pet but is also okay lying on is own bed with a toy. He knows some basic commands and is housebroken. He has lived with another dog before with no issues but may need a slow intro to new dog friends. Bear’s ideal home would be in a quiet neighborhood and not have a lot of visitors coming and going. He would love a back yard but would be okay with walks on nature trails or other quiet areas. 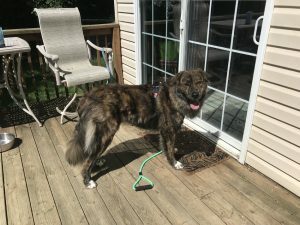 His family would need to give him some time and space to let him feel comfortable and be willing to work with a trainer if needed to help Bear be the best version of himself. If you are interested in learning more about this special dog, please contact us. He’s currently in foster care outside of Philadelphia.